The Point load test is an index test by which the rock is classified according to the strength. 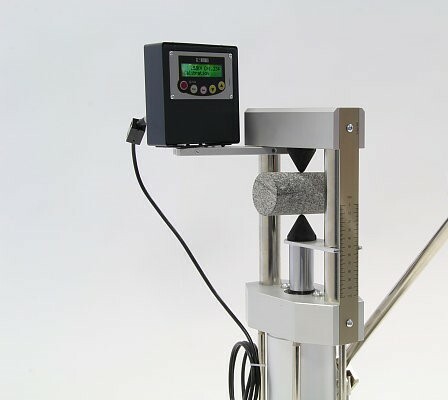 The test can be used to estimate other characteristics of intact rocks with which it correlates, such as uniaxial compressive and tensile strength. The test determines the strength index values at a point (Is (50)) and the anisotropy index (Ia (50)). The anisotropy index represents the strength ratio at point load in the directions with the lowest and highest values of the strength index. 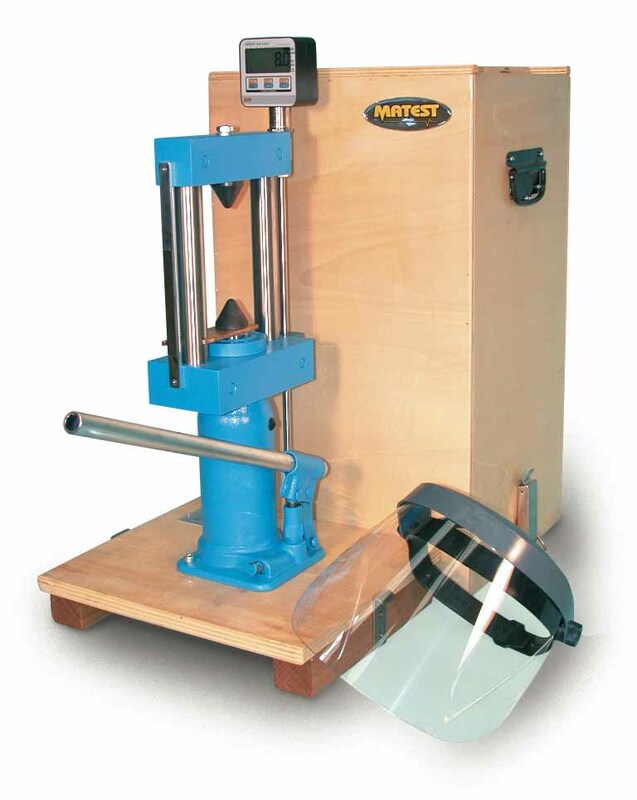 The test device consists of the sample load and force gauges, and sample dimensions (length scale) is also measured during the test. In situations where an irregular break occurs due to sample inhomogeneity, the test should be considered invalid. Picture 3 shows typical forms of regular and irregular sample breaks. 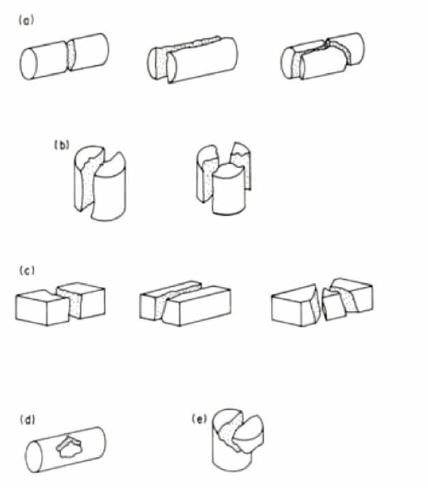 When anisotropic intact rock is examined, the experiments should be performed in two directions. One of the load directions should be given higher, and the other lower strength values. Laboratory tests are usually carried out on samples of 50 mm diameter for which no correction is required. 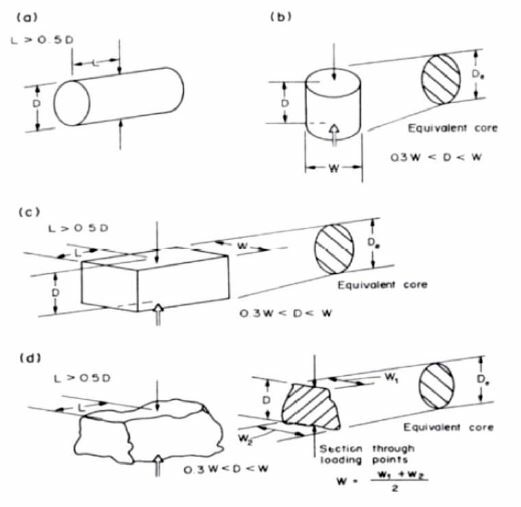 In the field, very different core diameters are most commonly present. In that case, the value of the strength index for the actual sample size is calculated and the same multiplies by the correction factor. The correction in relation to the dimensions must be executed because the index value of the strength changes as the function of the equivalent diameter of the core of the intact sample. After correction, the unified value of the strength index used to classify the rock according to the strength is obtained. The average value of the strength index is calculated by ejecting two extreme values (2 highest and 2 minimum) of 10 or more valid experiments and calculating the average value of the remaining results. By using the obtained average values, an inert rock anisotropy index can be determined, which varies from values close to 1 for the quasi-isotropic rocks to the higher values when the rocks are anisotropic. Usually it is assumed that the uniaxial compressive strength is 20 to 25 times higher than the strength index at a point. However, due to anisotropy this ratio can be from 15 to 50. In practice, for the estimation of uniaxial compressive strength, the most commonly used strength index increases 22 times. It is also possible to determine the approximate tensile strength value, which is approximately 80% of the strength index value. The Point load test (PLT) is an extremely fast and efficient way to determine and classify the strength of an intact rock.